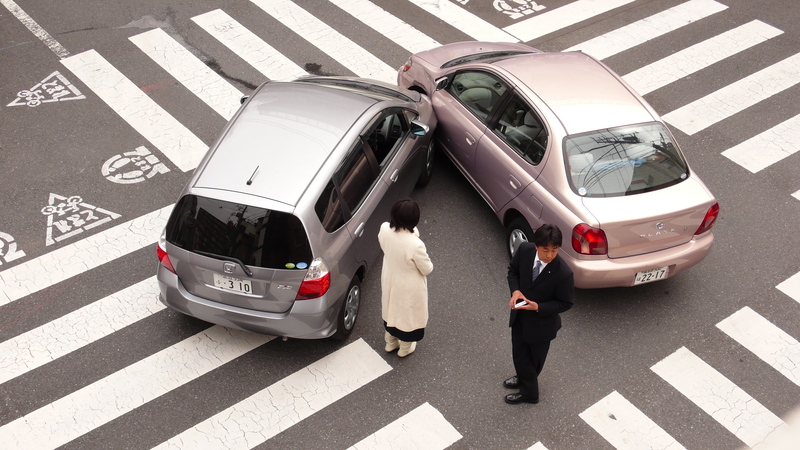 What to do if you are involved in an Auto Accident ? STEP 1 Stop. If your vehicle is involved in an accident and you don’t stop, you may be subject to criminal prosecution. STEP 2 If anyone is injured, if the total damage to all the vehicles involved appears to be MORE than $1,000, or if you suspect that any of the other drivers involved are guilty of a Criminal Code offence (such as driving under the influence of drugs or alcohol), call 911 and follow the instructions given to you by the emergency operator. Police will arrive as soon as possible. Collision Reporting Centres are currently available in a number of jurisdictions across the province. Visit: www.accsupport.com or call: (416) 745-3301 to locate the Collision Reporting Centre nearest to you. STEP 3 If it is safe to do so, move your vehicle to the side of the road, out of traffic. If your vehicle cannot be driven, turn on your hazard lights. If you have access to a digital camera or a cell phone, you should use it to take pictures of the scene; preferably before the vehicles are moved. You should also use your cell phone to audio record as much information as possible. STEP 4 Write down the names, addresses, and telephone and driver’s licence numbers of all of the other drivers, the licence plate numbers of the other vehicles, as well as the names and addresses of the registered owners of the vehicles, and the insurance information for each of the other vehicles. STEP 5 Also obtain the names, addresses, and telephone numbers of passengers and witnesses. STEP 6 Jot down specific details about the scene of the accident, time of day, and what exactly happened as you remember it. 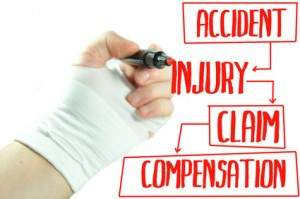 STEP 7 Report the accident to your broker, agent, or insurance company as soon as possible after the accident. For more information on filing an insurance claim with your insurance company, call them and they will help you with the process. some type of nonperishable food, hand wipes, a thermal blanket. PLEASE USE SOME NICE PICTURES TO GO ALONG WITH THIS BLOG. No. Absolutely Not ! You don’t have to use the auto body shop that the insurance company recommended. The choice is yours — by law, in the majority of cases. Yet a question remains: Will you get a quality repair? Most insurance have repair contracts with body shops in your area. 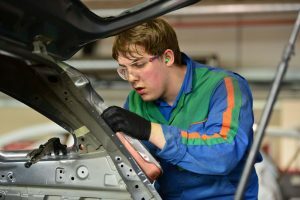 Choosing the insurance company’s repair shop has benefits for the insurance company, which has negotiated lower labour and material rates, as well as parts discounts with those shops. The insurance company refers to them as “preferred body shops”. The shop will have met the insurance company’s equipment and training requirements but most insurance companies will also require these shops to offer discounted repairs and work with the insurance companies to lower the insurance claims payouts which is not to your advantage. Insurance company claims representatives are given set goals. In general, companies would like to see at least 40 percent of their claims go to their direct repair shops. If you have chosen your own repair shop, claims representatives will frequently try to sway you away from your decision, telling you that your shop isn’t on their list, thus they won’t be able to handle your claim efficiently. They may explain that it will take up to a week before an adjuster will be available to write an estimate on your car. They could go further by stating that their company will not warranty the repairs if you don’t have your car repaired at their shop. Do not be intimidated by this. Reputable auto body repair shops provide a warranty no matter who is paying the bill. Shops are systematically interested in handling your claim and the repairs efficiently. Also, shop estimators are familiar with your insurance company’s claims process and know their local adjusters, making it easy to complete the estimate process and repairs quickly. Overall, if you have a body shop of choice, it is important that you choose a repair shop that you feel confident in. Sometimes, smaller body shops can help with paying your deductible and it will be at no out of pocket to you. The insurance recommended repairs shops won’t do that as they are working with the insurer to save them money and obtain bonuses for doing so at the year end. Why would you want to help the insurance company when you have been paying your premiums and now you need a repair, you want to help them save money……………..no way jose ! Research shows that if you choose your own body shop you can usually pay zero out of pocket and obtain great results. Sometimes the smaller body shops may also throw in a free scratch or dent repair that may not be part of your claim if you work with them ! The big guys won’t do that ! Plus, you will support your local economy rather than fill the deep pockets of insurers ! Support Best Deals Auto today and let us handle your insurance claim professionally and no hassle. We also get you in a rental car same day ! No body shop can hold contracts with all insurance companies. If the shop you chose isn’t on the insurance company’s list, it doesn’t make them a poor choice. Your shop doesn’t have to be on your insurance company’s direct repair list in order to repair your car professionally and efficiently. 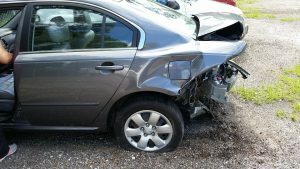 A reputable body shop will work with any insurance company to restore your vehicle to the condition it was in prior to your accident and provide a lifetime warranty on repairs. Good brakes are more important than ever for safety during Canadian Winter Driving and are a vital part of safe vehicle operation in icy and snowy conditions. But how do you know when replacing brake pads alone will take care of your car’s braking problem or if your car needs a full brake job? Like any professional service, car repairs can vary widely in terms of overall cost, but the cheapest option is not always the best, or safest, option and one can’t have cheap, best and quickest all the time. Brakes are one car repair where you don’t want to cut corners. Replacing brake pads in a timely manner can extend the life of your braking system overall, but if there are related problems, such as bad rotors, damaged calipers or a leaking master cylinder for example, your brake repairs can end up costing much more. When discussing your brake repair options with your car repair professional or automotive technician, be sure to mention any of the telltale sounds or vibrations failing or worn brakes can make. What different brake noises mean ? Squealing when you apply the brakes ? Hearing squealing when the brakes are applied typically means it’s time to replace the brake pads. Many parts manufacturers engineer their brakes to produce a high-pitched squeal to signal it’s to replace worn brake pads in order to prevent unsafe conditions or potential damage to the brake rotors. If you notice your brakes squealing, taking action immediately and having the pads replaced can save you the cost of a more expensive repair. Low, grinding sounds when you apply the brakes? 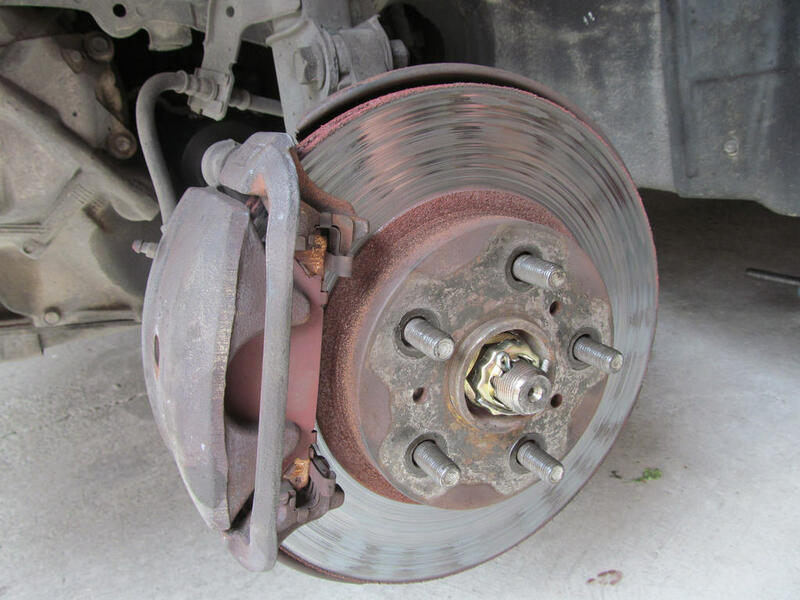 This noise typically means that the brake pads have worn away to the point that they’re coming in uneven contact with the rotor surface or that the brake pad assembly itself is grinding against the rotor. If you hear this sound, it’s more than likely you’ll need both new brake pads and new rotors. Vibration or shuddering sensations when braking, along with grinding noise? This may occur if you overlooked or ignored more minor brake noises. If your brake components are worn to the point they’re producing vibrations or shudders, it’s very likely that the brake system assembly itself is damaged. A mechanic should inspect the system and make repairs immediately, as damaged brake components are not safe to drive with. Hire a mechanic or do it yourself? DIY mechanics with moderate mechanical aptitude and the right tools may be inclined to replace their brakes pads themselves. This option can save a significant amount since it forgoes the hourly labor rate many repair shops charge. But DIY brake pad replacement might not always be worth it. Not properly installing brake pads can lead to improper braking from the brake system. Some things are better left to the professionals especially since most cars require specialised tools nowadays and a simple screwdriver just won’t cut it ! Plus, the weather doesn’t really permit outside working conditions for a DIY person. Along with having an experienced automotive technician inspecting your brakes and making repairs, and having the specialized tools and equipment to provide effective and timely repairs, a reputable shop will offer a warranty on their labor and the parts they installation. The shop’s experience and know-how can also help ensure the brakes are installed correctly and safely. The peace of mind this brings with a warranty just can’t be beat ! CALL BEST DEALS AUTO, YOUR RELIABLE AFFORDABLE BRAKE SPECIALIST TODAY ! We have established long standing and successful business relationships with all major Insurance Companies. Fully estimation procedure’s for all bodyshop repairs to ensure complete customer satisfaction. Relationships with all major Insurance Companies. Quality Service for any accident repair. Our professional bodywork in concert with our paintwork and our drive for excellence will restore your vehicle to its original pride. We listen to our customers… and to your car! We diagnose the problems, plan a course of action, estimate the costs and then discuss it with our clients before we correct it. 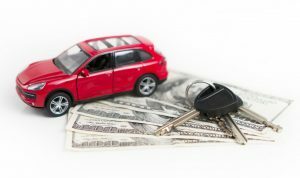 Usually lease payments are less than finance payments, but you should never forget that you don’t actually own the vehicle the lease company does; you’re only the caretaker. Unfortunately, as the caretaker if you don’t partake care and feeding of your leased vehicle, you may get a very expensive reminder at the end of your lease when your car undergoes its wear-and-tear inspection. For example, when you learn the cost for the door ding you got in the supermarket parking lot you may gasp at the added expense on your lease return. Or that cigarette burn in the upholstery on the drivers seat you said never mind to. Or those extra kilometres from your family vacation to Disney World, Florida. Add it all up, and you may be on the hook for hundreds or even thousands of dollars. Some wear-and-tear is worth fixing in advance, while other problems might be safely ignored. Here are some tips to help you and your wallet to survive the inspection. 1. Repair damaged bumpers, broken windshields or bald tires. Otherwise, the lessor will do it for you, for a fee. “Tires, glass and bumpers are the three things that you are always better off fixing yourself,” . If your tires have at least 4mm of tread remaining, you probably won’t be charged. But if your tires are bald, you may be on the hook for replacements. This is why it’s a good reason to rotate your tires on a regular basis. Let Best Deals Auto help with this ! Damaged bumpers are another common problem. Its cheaper to get it replaced or repaired at a private shop then let your dealership bill you at Dealer Sky High Prices. Likewise, you’ll be charged for any equipment that doesn’t work properly, such as radios, window regulators, navigation systems and the like. It’s a good idea to get these things fixed in advance, so that you can get a decent price on the repairs. Also, its a good idea to keep your receipts, so that you can document your repairs. If a headlight or taillight is scuffed but not broken, you may avoid a penalty fee. But the inspector won’t overlook a major crack in the windshield. Again, its better to get this fixed elsewhere rather than let the dealership charge you an arm and a leg for this repair at their high prices . 3. You may get a break on minor door dings, scratches and upholstery stains. Check your lease policy. Every lease policy interprets these problems differently, so it pays to read the fine print. Small dings, scratches and stains are often considered to be legitimate wear-and-tear. In general, you’re subject to what’s known as the “credit card test” for lease damage. If the damage is a scratch that can be covered up by a standard credit card, you’re good. Make sure you are covered by this credit card test before you turn your car in. For example, some lease companies won’t charge for body dents less than one inch in diameter, while others won’t charge for dents less than four inches wide. But if there’s a puncture in a body panel, in all likelihood you’re going to be charged for it. 4. Make sure that your car has all the equipment it started out with. If you left the cover for your car’s luggage compartment in a corner of the garage, remember to put it back. And ditto for the spare tire cover or the third row of seats for your SUV. 5. Make sure that your car gets scheduled maintenance. Keep a written record of your car’s maintenance, so that you can prove you changed the oil regularly, checked fluid levels, rotated the tires, etc. If you encounter engine trouble or other mechanical problems, your records will help demonstrate that you were not at fault. Of course, if your lease is no longer than 36 months, the vehicle warranty should cover the cost of any necessary repairs. 6. Some lessors offer wear-and-tear insurance, but consider the price carefully. If you’re a hopeless slob – or if you have small children who tend to spill things – you might consider buying wear-and-tear protection. However, these are usually highly priced and customers may end up paying a hefty premium for their coverage. Do your homework. Usually just common sense and extra precautions to attend to things if and when they happen rather than waiting will save you in the long run. 7. Don’t exceed your annual mileage limits. The leasing company won’t cut you any slack. Lessors generally offer a range of mileage allowances.If you know you are going to do some serious driving, lessors generally allow you to buy extra mileage limits for a fee per km, which is considerably less than the penalty fee. MORAL OF THE STORY: HAVE A REGULAR GARAGE AND BODYSHOP MAINTAIN YOUR VEHICLE DURING YOUR LEASE TERM TO HAVE A CLEAN, NICE EXPERIENCE UPON YOUR LEASE RETURN. CHOOSE BEST DEALS AUTO AT 416-745-9700 FOR A COMPREHENSIVE LEASE RETURN INSPECTION.